I had forgotten about Forty Creek Barrel Select. Sure, I’d occasionally still go in for the quite-good Copper Pot (when it was on sale), but I can’t even recall the last time I picked up a bottle of Forty Creek’s flagship. It’s not that I don’t like it (Barrel Select was an absolute staple of my University days), more that I’d lost touch with it as my Canadian whisky circle widened to include the excellent likes of Dark Horse, Lot 40, and Northern Harvest. But there’s one thing those whiskies all have in common — they’re quite a bit more expensive than Forty Creek, and they may just owe their popularity to it. So when I was offered to trade an old hydration pack for a bottle of Forty Creek Barrel Select, I jumped at the opportunity to reacquaint with an old favourite. Most people wouldn’t consider Forty Creek a sipping whisky. Fine for mixing, even for classic cocktails — but perhaps too low-grade for drinking neat. Here’s where I disagree. Undoubtedly there are better whiskies (generally at far higher prices), Forty Creek has more than enough character to hold its own in a tumbler. Now, there’s no doubt it’s a subtle dram. 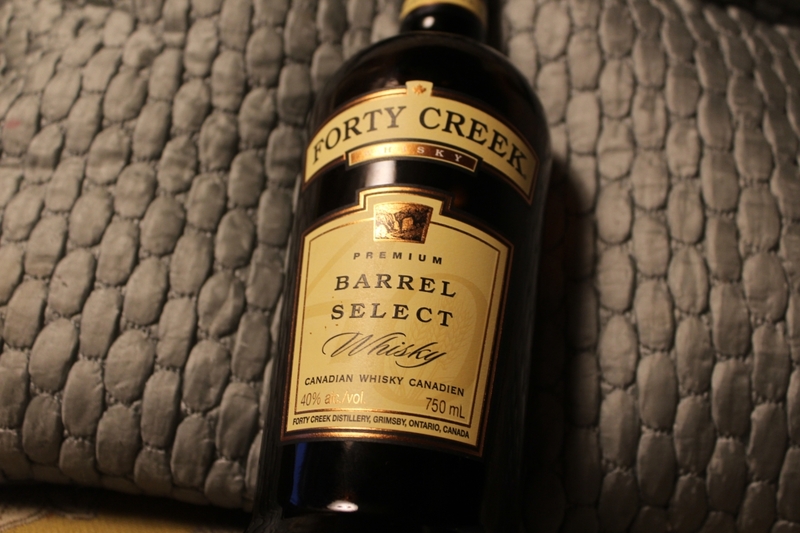 For those who go in for massive peat bombs and big burly bourbons, Forty Creek Barrel Select might be a bit too shy. It’s sweet and simple, with all the hallmarks of a classic Canadian whisky. But it’s well balanced and flavourful, if you don’t mind a bit of nuance. On the nose, Forty Creek smells of vanilla and corn, with a some quiet floral notes and a dollop of caramel. There’s a bit of rye spice lurking in there too. 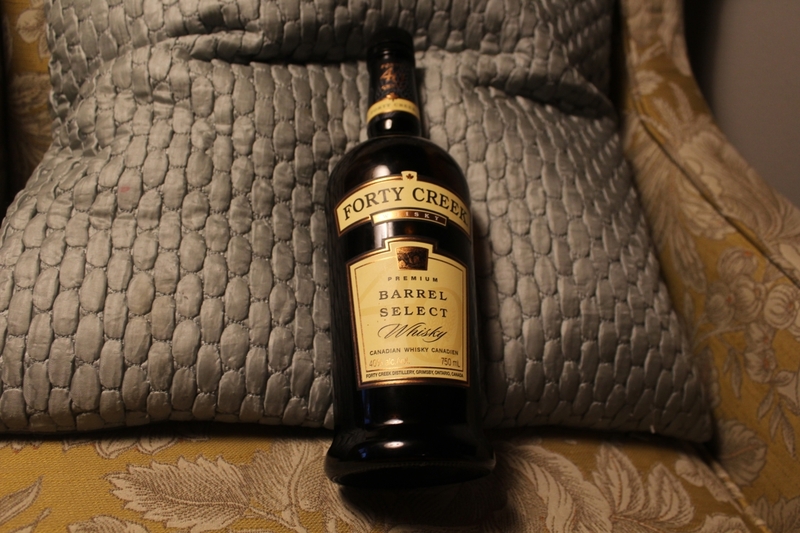 As for taste, Forty Creek Barrel Select remains sweet, but kicks it up with some apricots and a not-unpleasant sourness. It’s rather light in body, and the alcohol is far from show-stopping. The finish isn’t lingering, turning into all vanilla and caramel. No doubt, this would mix fantastically into a number of drinks (I made a pretty damn good Manhattan with it), but there’s enough there to drink neat. Forty Creek used to be a staple of mine. And while it less frequently has a presence in my liquor collection, it remains a fine example of affordable Canadian whisky. It’s a dram I have no qualms about sipping slow.